The casing of the gun and handle is solid aluminum with a classic gun antique finish. The black handle grip fits over the authentic style grip. The gun cylinder looks and feels authentic as it spins on the axis like the real 45 Army Special revolver. Even the trigger is placed in the accurate spot for perfect timing. 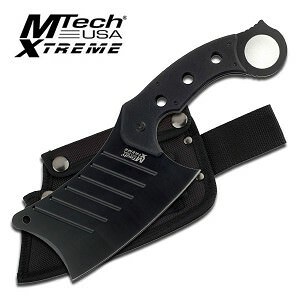 The stainless steel blade sits within the stainless steel scabbard. It is both rugged and attractive with a matte black finish. 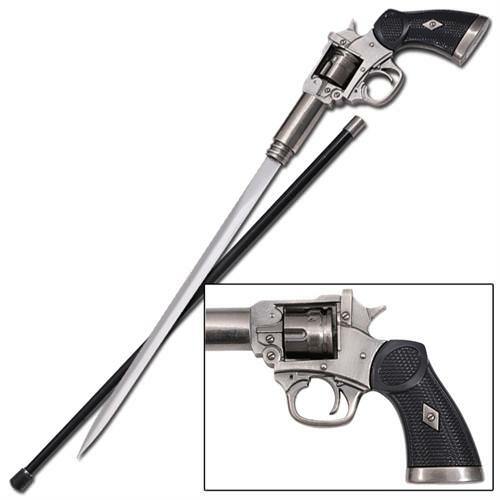 You may need a pole to lean on after seeing this 45 Army Special Revolver Cane Sword. A rubber foot is fixed to the end reducing trauma and providing comfortable walking.